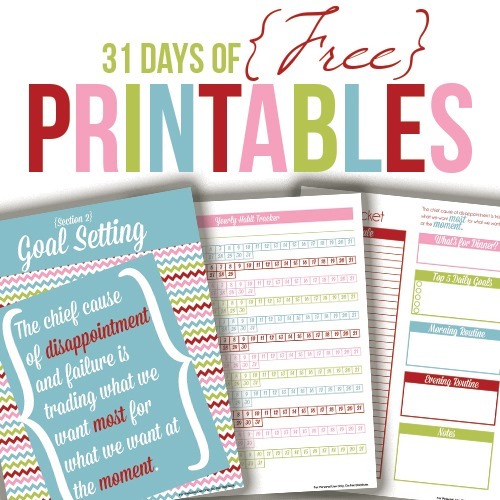 Welcome to Day 2 of this week-long printable giveaway! 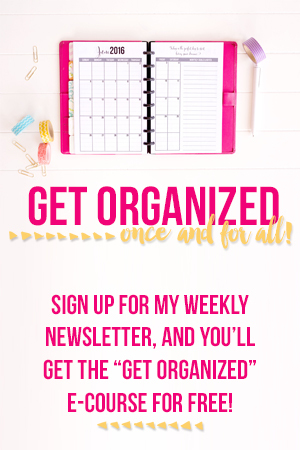 In case you missed it yesterday, I’ll be here every day this week sharing a different printable from the Sweet Life Planner Club that you can enjoy for free! 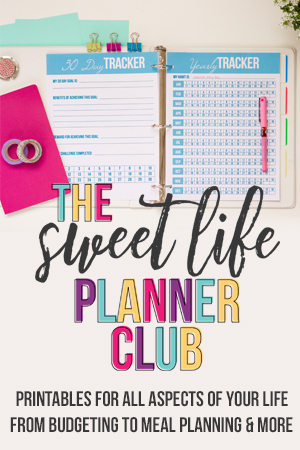 I love today’s printable because it is in my very favorite edition that we have in the Sweet Life Planner Club: the Paris edition! I just love the Eiffel Tower with the hearts and curly letters! Some of the other pages in this edition that we have in the Club have borders that say “oh la la” – I think it’s just the cutest thing! 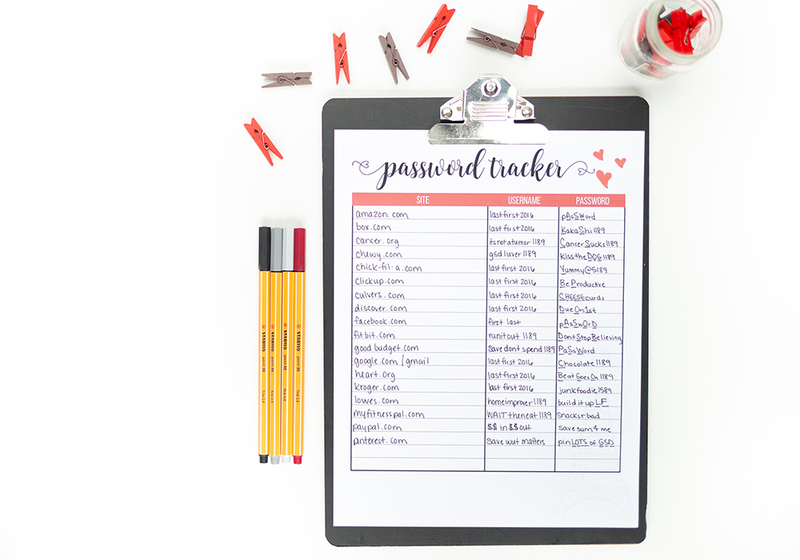 The page I’m sharing today is a password tracker. It seems that almost every week you have to create a new account for some site or other and it can be really hard to remember all of your different passwords! One “solution” is to keep the same password for every account, but that really is a poor practice. If someone gets their hands on your password for “Joe Shmoe’s Weekly Coupon Site” that probably isn’t a huge deal, but it becomes a huge deal if that was also your bank account password! Instead of risking all of your personal information getting stolen, or having to reset your password every time you log in to your Chick-fil-a rewards account (guilty of that one! 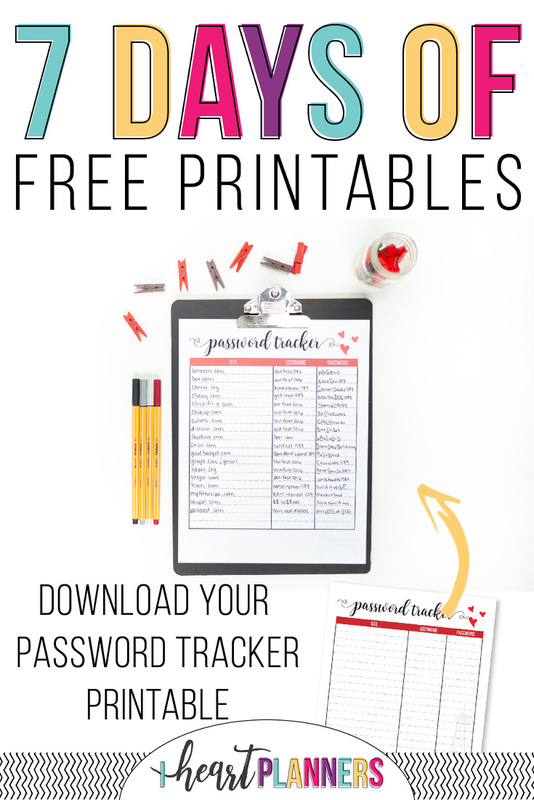 ), how about you print out this cute sheet that gives you space to jot down all the different passwords for your accounts. You can keep it safely at your computer desk or even folded up in the zipper pouch in your Sweet Life Planner so you can refer to it whenever you need to. Day Two: You are here!